Every day new cell phones hit the markets with impressive features, our phone gets old too early. When we buy a new one, we will sell our old phone. The data that we delete in our device will not get eliminated completely, a lot of personal data whether it is important or just general data still exists on the phone, with specific programs, it is possible to recover them. Android is no exception and the photos, videos and other types of files that we erase remain in its memory even if we do not see them. The “inappropriate” photos and videos that could compromise us if someone retrieves them and other people can read saved Whatsapp conversations, in backup files. One way to eliminate the data of Android before we sell is by performing a factory reset, but it does not guarantee data will get completely erased. 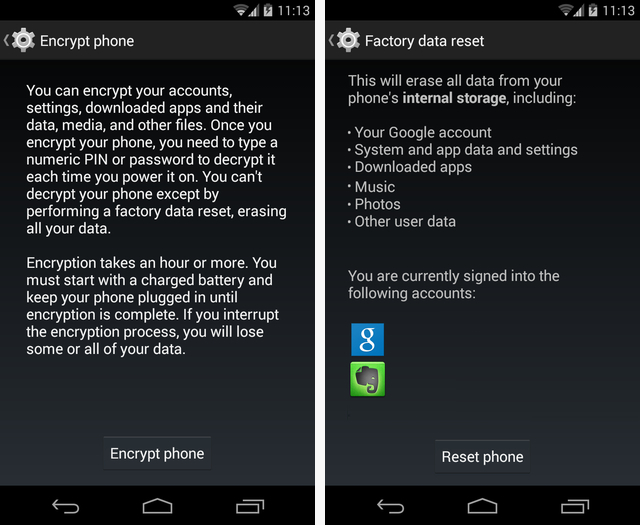 Therefore, it is better to use the encryption feature available in Android and then do a factory reset. Personal data may still be recovered someone without consent. In general, for these types of records and any other, erasing with security is a convenient measure if we want to make it disappear definitively. To do this, we must take advantage of some application developed for this purpose. 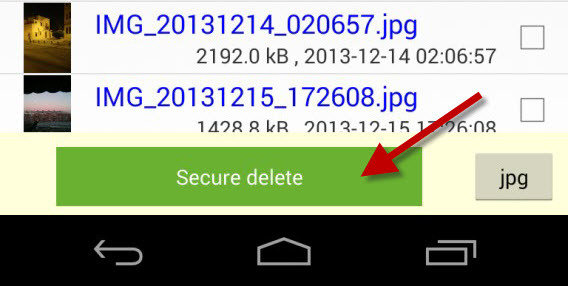 Files deleted on Android phones are hidden and occupy a space in what we know as free or available memory. It occurs in both internal and external memory for SD cards. These files will remain there until the space they occupy required to store some other information. In this way, the more room available, the more likely that a deleted file will remain unchanged and therefore recoverable. As you know, quite a lot of applications or programs that can recover lost or deleted data for free, such as Recuva with quite a few steps. Someone who is not very expert on the technology could easily do so. It allows the unharmed deletion of the files that we choose. The free version has a significant limitation and is that it only works with photos of the jpg type. If we do not want to pay to install the Pro version, we will only be able to delete the photos definitively and quickly. Once you have located the folder where we have the images, we must select them and then click on “Make sure to remove”. In the following screen, we should write “yes” to confirm that we want to delete the photos permanently. This application allows us to safely delete the free space of the phone memory, all of them. We will see how the detected memories show us. In the case of the next image, the application has identified three different memories in the phone, the system memory, the internal memory that identifies as an SD and the external memory that shows it as a secondary SD. The operation may take several minutes for large memory cards, on the order of half an hour or more. And the developer advises even repeat the process to get a greater security in the cleaning operation.